In this first meeting between Milos Raonic and Lucas Catarina, the former World #3 will start as the overwhelming favorite. Clay has never been Raonic’s strong suit, and there’s always an outside chance for the local wildcard to produce an inspired performance in the first round. The Canadian should be able to secure the progression, but Catarina can make it a close affair. The 21-year-old Lucas Catarina is granted a wildcard entry into the main draw of Monte Carlo Masters this week. He has never played a main draw match on ATP World Tour. Lucas Catarina, born and residing in Monaco, was given qualifying main draw at Monte Carlo in the previous three seasons but he could not register a win in any of them. Although, he took a set off Facundo Bagnis and very nearly pulled off a massive upset in 2016, 6-4 4-6 3-6. Catarina recorded over 60 match wins in 2017 (65/31), which includes three ITF titles (all on hard courts). The youngster has once again made a good start to the season by winning 13 matches (13/9) and making three quarterfinals at ITF Tunisia F7, F18 and F11. Though he cannot be considered as a solid player, at least in this point of his career (considering the way some of his matches panned out), he’s still managed to churn out consistent results over the past 12 months or so. 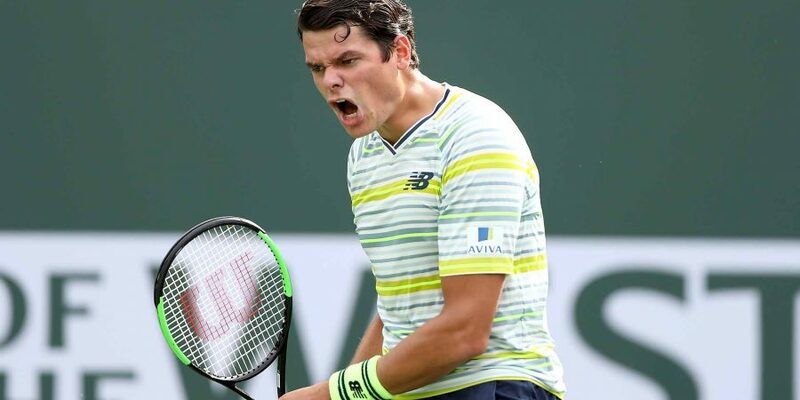 Milos Raonic made three consecutive quarterfinal appearances at Monte Carlo between 2014-2016 but could not compete here in 2017 after injuring his thigh in Miami. Making his comeback earlier in the season, Milos Raonic lost three of his opening four matches. However, he did well in the recent weeks by progressing to the semifinal at the Indian Wells and quarterfinal at Miami, losing to Juan Martin Del Potro on both occasions.